Sleek silhouettes and a perfect design space are what set Couture Table Covers apart from standard covers. 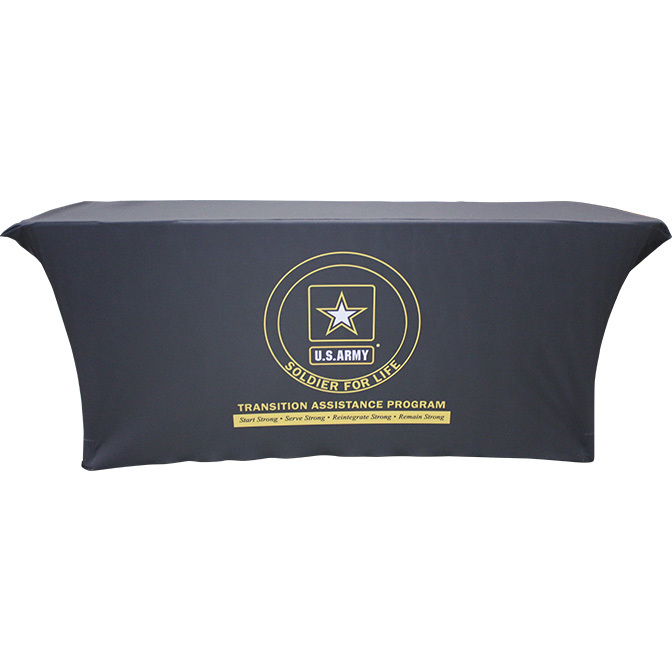 No matter the style of table you’re using, a Couture Table Cover can add a touch of smooth elegance in addition to your own custom branding. 30" x 29", 36" x 29", 48" x 29", 60" x 29", 72" x 29"
30" x 42", 36" x 42"
While the idea of printing on a stretchable surface can be daunting, the designs created by our engineering and graphics departments allow you to have the least amount of distortion to any printed images. 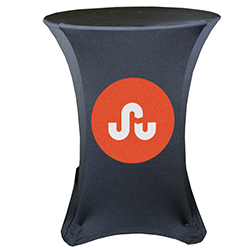 The smooth curves are made so that large swaths of table cover are untouched by areas of major stretching, keeping your imagery perfectly displayed. Templates for you to download and design on your own can be found here. 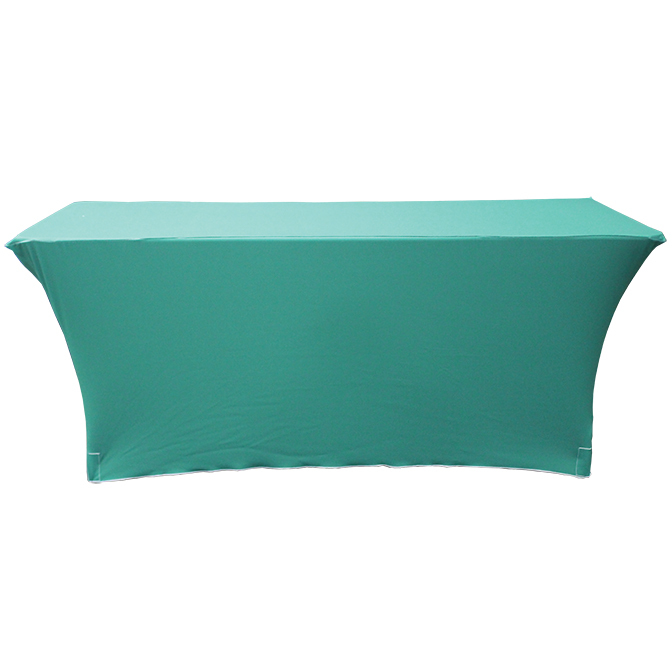 Couture Table Covers are connected to the table’s feet and are more aerodynamic due to the stretch material, making them better for breezy areas. Created using dye sublimation similar to standard table covers, Couture Covers are also machine washable as the print is literally dyed into the fabric. Each corner of the cover has a sewn-in protective pocket to house the table’s feet, protecting the cover and keeping it in place.